From Monsignor Edward Pace High School in Miami Gardens, Florida, to Northwestern University and becoming the 161st pick of the 2017 NFL Draft by the Indianapolis Colts, Anthony Walker Jr. has been under the radar his entire career. With reports flying around social media about the Indianapolis Colts' apparent interest in former Baltimore Ravens inside linebacker C.J. Mosley, the questions remain on what the Colts gain by adding Mosley to what can be considered a young, budding linebacker core of Darius Leonard and Walker Jr.? While everyone knows Leonard, the 2018 NFL Defensive Rookie of the Year, not nearly enough people know about the young man who partners Leonard and is a terrific run stopper and tackler. The NFL is a game that is played involving a set of rules that basically says, one team’s players try to score points while the other team’s players try to tackle them and prevent them from scoring points. During the 2018 NFL Season, Anthony Walker Jr. tied C.J. Mosley, Raekwon McMillan, and Benadrick McKinney for 24th among all linebackers in combined tackles with 105 on the season. Walker Jr. also ranked tied for 26th with McMillan and Wesley Woodyard of the Tennessee Titans with 69 solo tackles. The most impressive parts of Walker Jr.’s game though have to be his ability to defend the run and get into the backfield to make tackles for losses of yardage (TFL). Among linebackers in the NFL, Walker Jr. was one of only 25 to record double-digit tackles for a loss of yardage (10). Walker Jr. in fact, was one of four different Colts last season to accomplish this feat of double-digit tackles for loss. Joining him were fellow linebacker Leonard (12), and defensive ends Margus Hunt (13) and Jabaal Sheard (15). 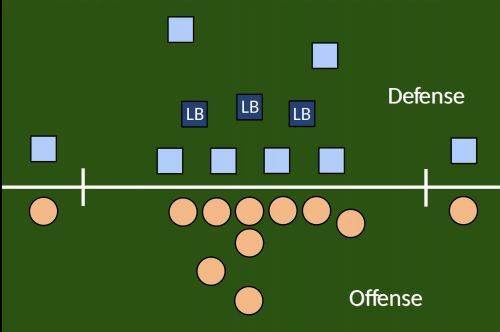 In the main defensive scheme ran by Colts defensive coordinator Matt Eberflus, the “Tampa Cover 2”, the middle linebacker is one of the most important players on defense. The middle linebacker in this scheme is the “quarterback” of the defense. In the “Tampa 2”, a MLB must have above-average speed in order to either help the outside linebackers cover short passes, run up to the line of scrimmage to stop the run or drop behind the linebackers in coverage in order to protect the zone between 11-20 yards out. Walker Jr. meets these requirements. During games, Walker Jr. is responsible for announcing play calls from the sideline and seeing/reacting to all the checks & audibles by the opposing team. 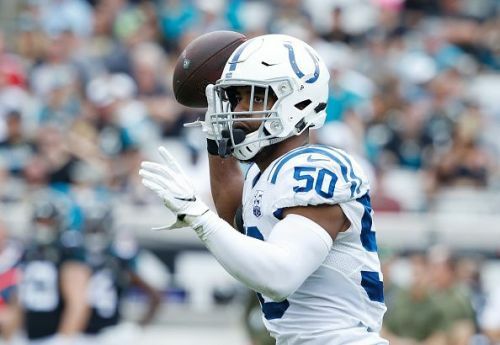 Linebacker Darius Leonard said about Walker Jr. back in November of 2018, “Eighty percent of the reason I am who I am is because of Walk.” You probably cannot buy a better endorsement than from the man who led the NFL in tackles during the 2018 season. The combination of Walker Jr., Leonard, Hunt, Sheard, and the rest of the Colts defense resulted in the 6th fewest rushing yards per attempt of any team in the NFL at 3.9 YPC. They also powered the Colts to allowing only the 8th fewest total rushing yards in the NFL, 1,630 yards during the entire season. That is an average of 101.6 yards per game. Clearly, the Colts have found an impressive diamond in the rough and should look to build around him and Leonard for the next decade rather than spend big money on the likes of C.J. Mosley.